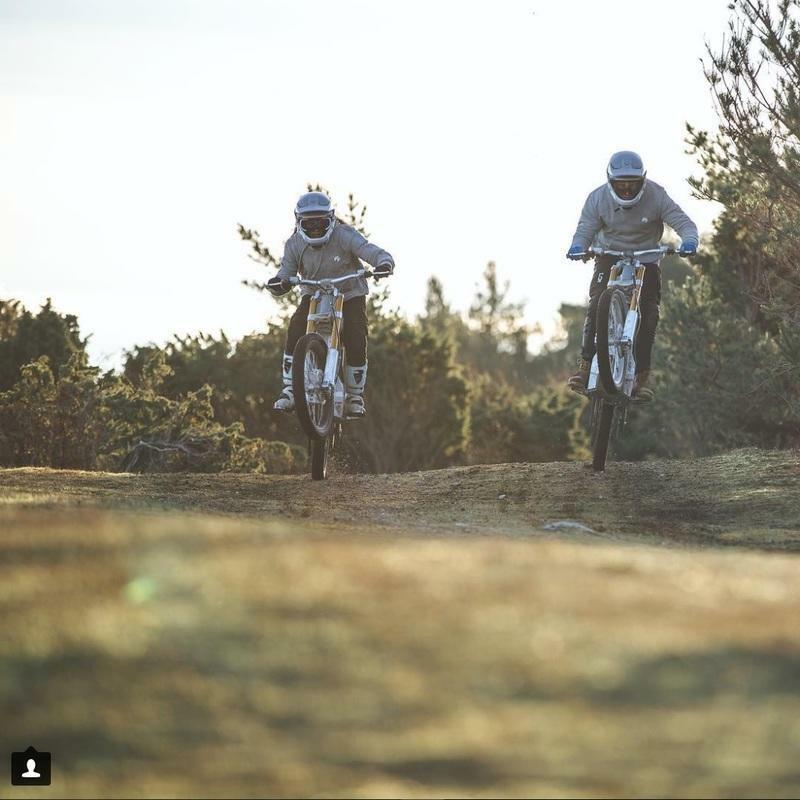 The brainchild of a Swedish Stefan Ytterborn, Cake intends “to speed up the journey towards a zero-emission society, while enhancing excitement and fun.” And their very first step is this Kalk electric off-roader that blurs the line between mountain bikes and motorcycles. 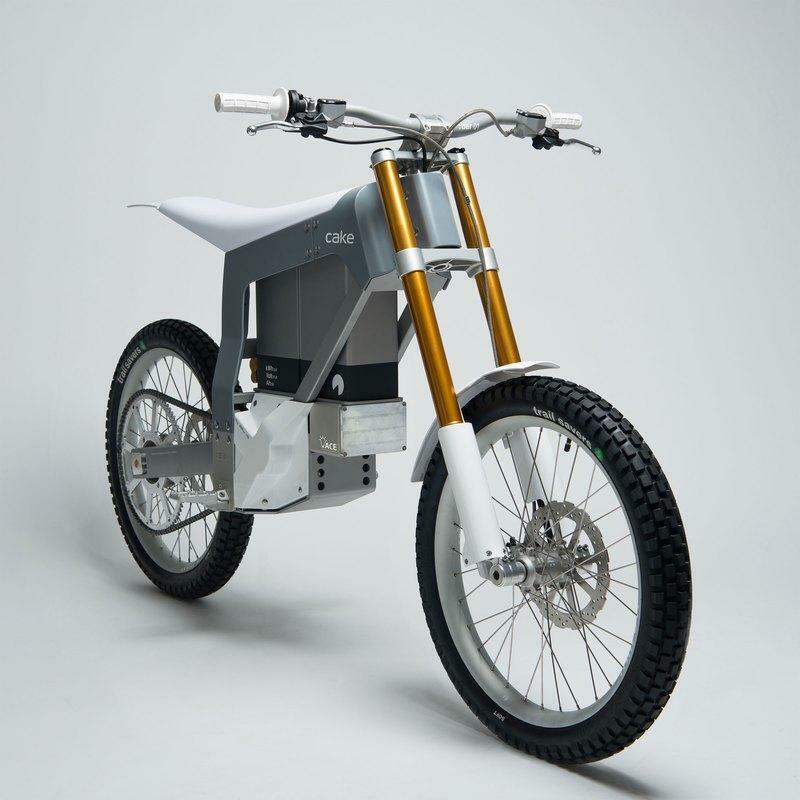 Further developing their product strategies, Cake entered into a partnership with Swedish all-green electricity provider Utellus to create solar charging environment specifically to charge their range of electric motorcycles. CAKE’s first electric product is the ‘Kalk’, obviously a weird name. But it means something in Swedish though – ‘lime’. It looks like a concept model since it is technically not legal to go on the roads. It gets no headlights, indicators nor any side mirrors or a number plate bracket. These machines are strictly made to tread 50 miles of the off-beaten tracks in a full charge of the batteries under its belly. The firm is now looking at alternatives to develop new charging methods to protect the environment further, to produce electric power without the negative carbon footprint of coal powered electric production or the likes. Enter solar charging. Although the idea of a portable solar charger isn’t new, there aren’t much being developed for explicitly charging electric motorcycles. There are however solar-powered charging stations for the same, but having a portable unit is where the folks at Utellus come into the picture. 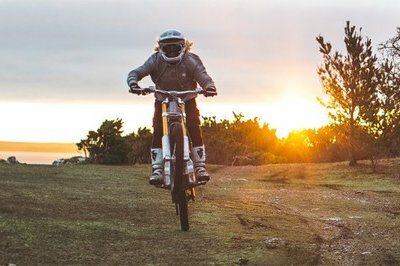 They aim to make the motorcycle totally emission-free and help the rider in being self-sufficient with fuelling up the ride even at remote areas and off-road locations without any access to main charging points. Cake is currently making motorcycles that are meant to traverse the off-beaten paths. The Cake Solar Power Charging System will be made available in three configurations. The smallest one will be capable of charging batteries for a motorcycle throughout its lifetime, while the biggest one can also provide enough juice to provide power to your household elements. How portable it is going to be is as good as anybody’s guess, but it will have to be small enough to be carried on the motorcycle. Currently, Cake will be releasing this service only in Sweden and will soon roll over to other markets. Maxing at 50 mph, the 2.6 kWh lithium-ion battery pack of the Kalk pumps out a maximum of 20 bhp and 30 lb-ft of max torque at zero rpm. 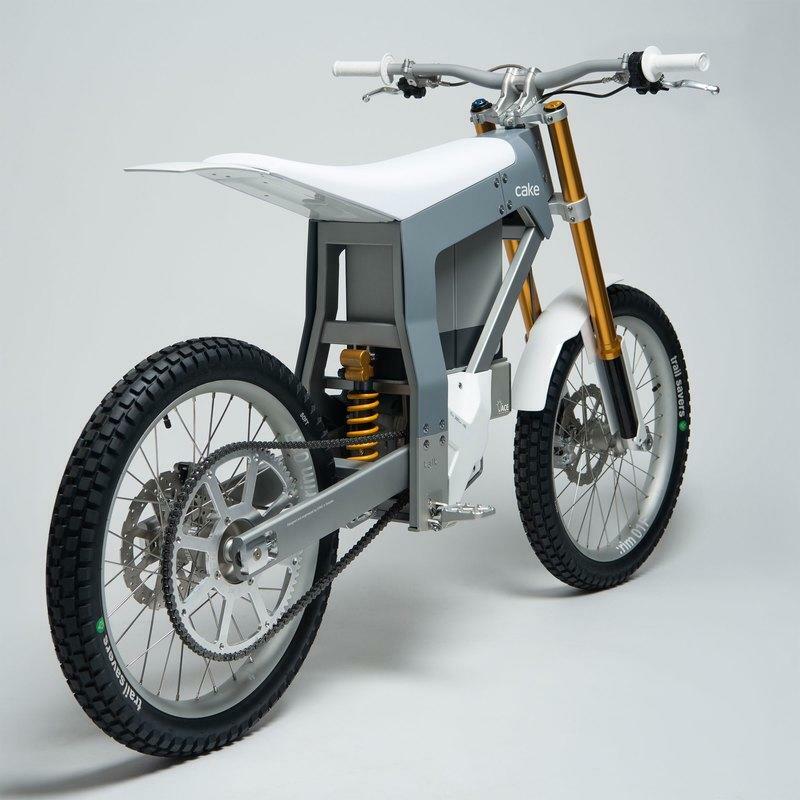 Which is not a lot considering other electric enduro motorcycles coming into the scene but get this, the Kalk weighs in just at 154 lbs. 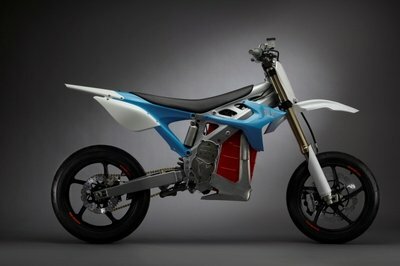 That is lighter than any enduro motorcycle currently on the market. Cake will be making a limited run of just 50 units of the Kalk and are available for pre-order on making a deposit of €1,000 ($1,250), and the bike will cost an eye-watering €14,000 ($17,500).